New and Signed First Edition, First Printing. Fine condition. The man behind The Death of Stalin, I’m Alan Partridge and The Thick Of It is a big classical music fan, and his new book explores this passion. 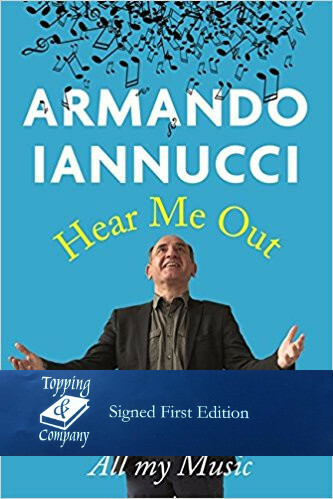 In Hear Me Out, he has written about a range of composers from classical greats such as Beethoven and Mahler to contemporaries such as Philip Glass and John Adams, approaching the music from the position of curious amateur rather than technical expert.